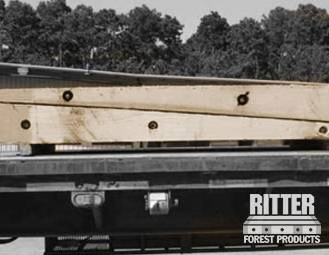 Ritter Forest Products is an industry leader in providing hardwood crane mat rentals and sales for crane companies, and those who utilize heavy equipment for commercial and industrial access and foundation applications. All of the products that we manufacture are designed to withstand heavy loads and poor ground conditions. At Ritter Forest Products, we offer both new and used crane mats for rent. We build our new crane mats to withstand any challenges on the job site, and we test our used crane mats to ensure that they are still capable of dealing with heavy loads and equipment. We want you to feel confident when you use expensive equipment on our crane mats. 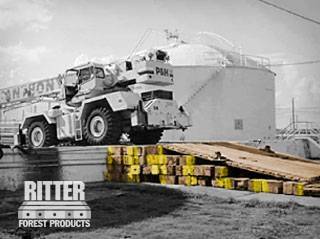 Ritter Forest Products specializes in providing quality new and used crane mats for sale to those who use heavy equipment for large-scale projects on a regular basis. If you own or operate a crane company, you know how important it is to invest in crane mats that you can use over and over again with confidence on a variety of job sites. 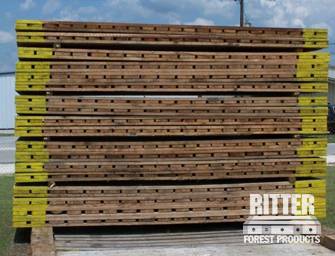 While many crane companies come to Ritter Forest Products for our commercial and industrial hardwood crane mat rentals and sales, we also manufacture a variety of other products. We have outriggers pads rentals, pilings and more that can be used on any job site for additional stability and balance. 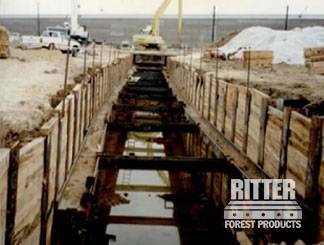 In soft and muddy terrain, hardwood crane mat rentals and sales from Ritter Forest Products can provide and maintain access for any project. Call us today to place an order or to hear more about how our products can benefit your crane company.